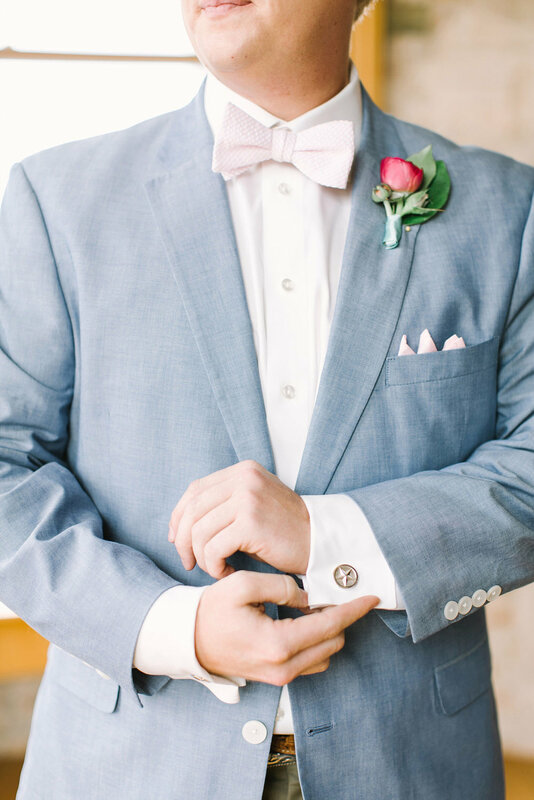 I am so excited to share this Old Red Museum wedding in Dallas TX with ya’ll! This couple was so sweet and fun, and I had such a blast getting to know them both! I first meet with then newly engaged Zoe at a Coffee Shop in Dallas and was so excited with the prospect of working with her. 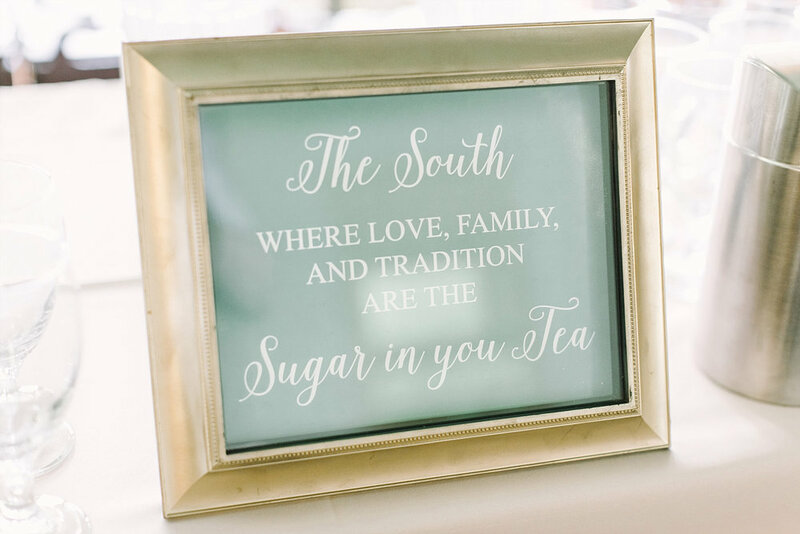 I loved her vision of a colorful southern affair, and I was even more excited when she called and said she would love for me to design and plan her big day! 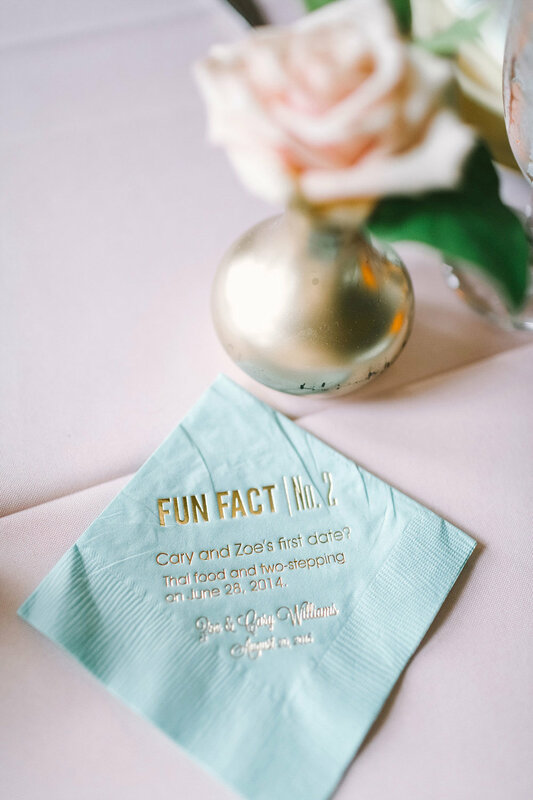 With just four months to plan their colorful southern soiree, we had to make decisions fast, and Zoe was entirely trustful throughout the process which made my job even easier! 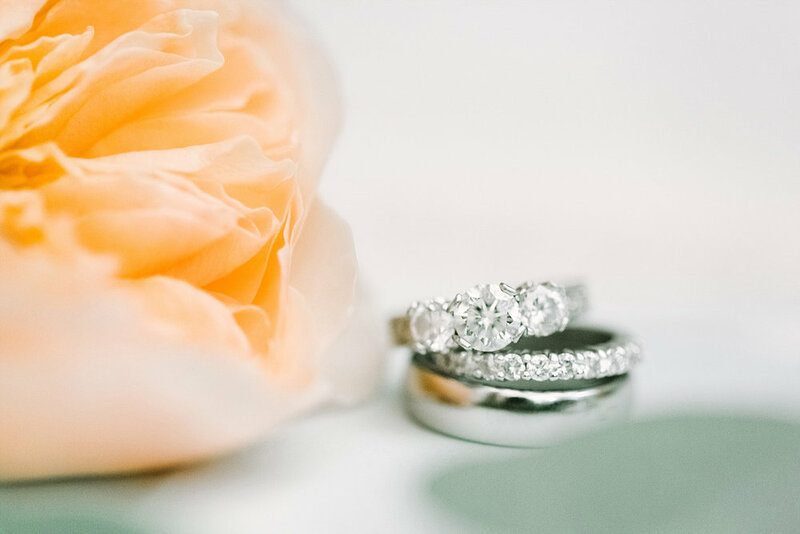 The first thing on our list was to find a venue and set a date, and we quickly realized that The Old Red Museum in Dallas TX would be the perfect venue for their wedding. 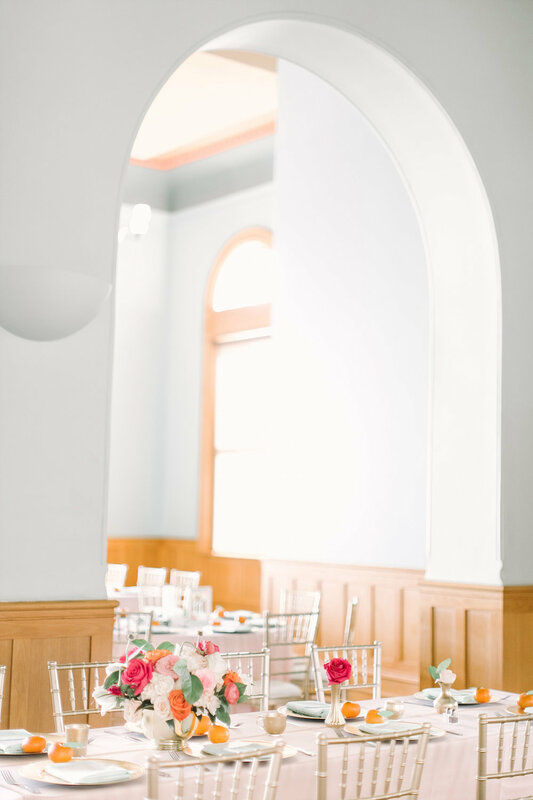 They loved the tall ceilings, arched openings, and large windows with downtown Dallas in the background. 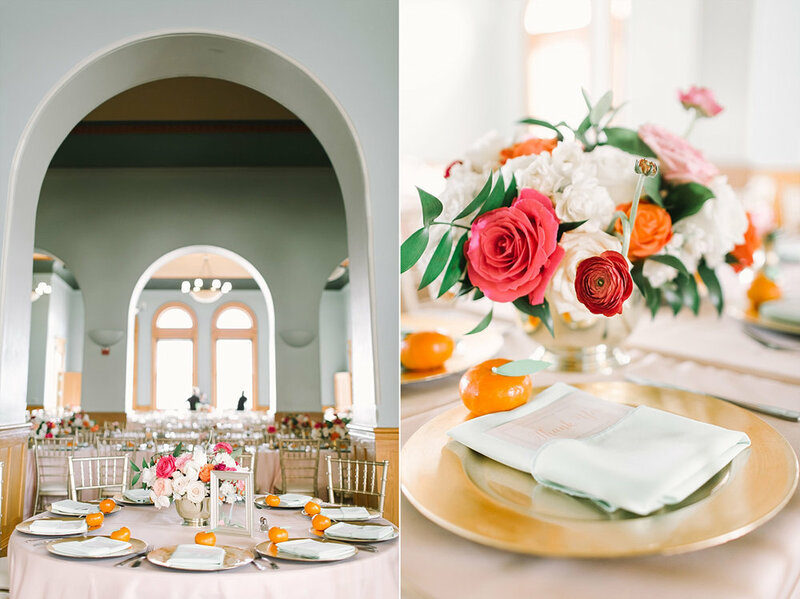 Zoe & Cary got married in the interior ceremony room at The Old Red Museum in front of large arched windows and blush chiffon that framed the altar. 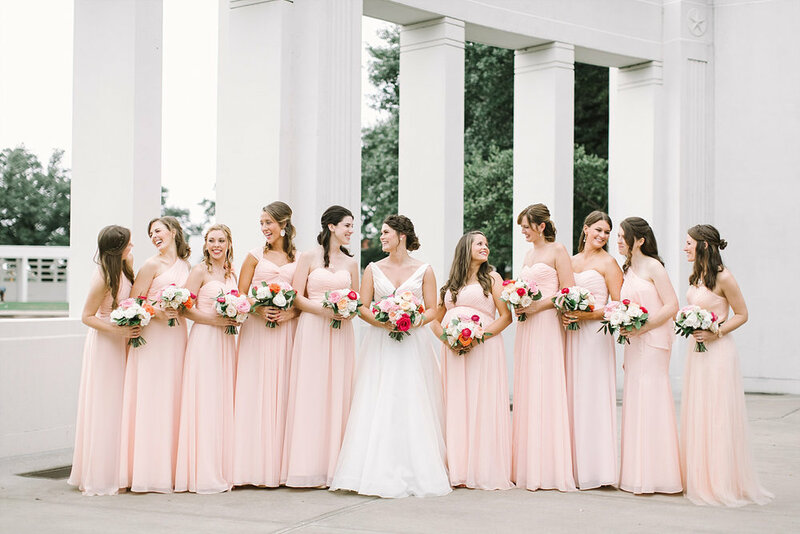 The bridesmaids wore blush dresses and each held florals that were a mix of white, orange and bright pink flowers. And as guests walked into the ceremony they were greeted by a large mirror that noted the ceremony order that the bride made herself! 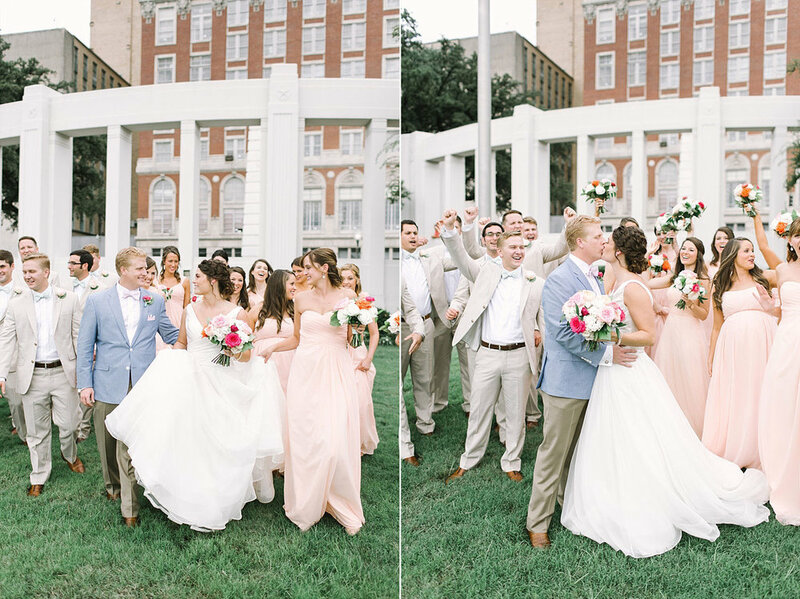 It was the perfect setting for an industrial wedding ceremony! After the ceremony as the couple took pictures, guests enjoyed happy hour in the Old Red Museum hallway and signed a map guest book that the couple will frame for their future house to show their love of traveling! 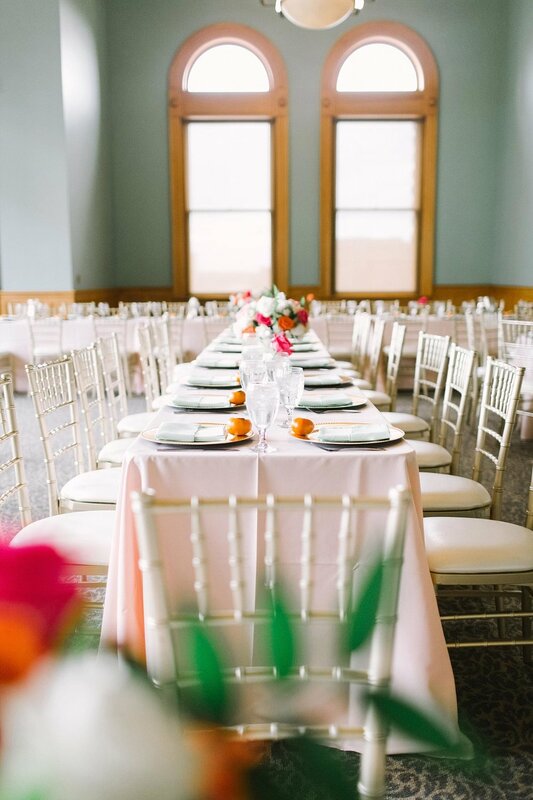 The reception was held in the grand ballroom at Old Red Museum, and it was filled with southern and personal touches all throughout the room! As soon as guests walked into the Old Red Museum ballroom, they were greeted with small clementine and a thank you note from the bride and groom. 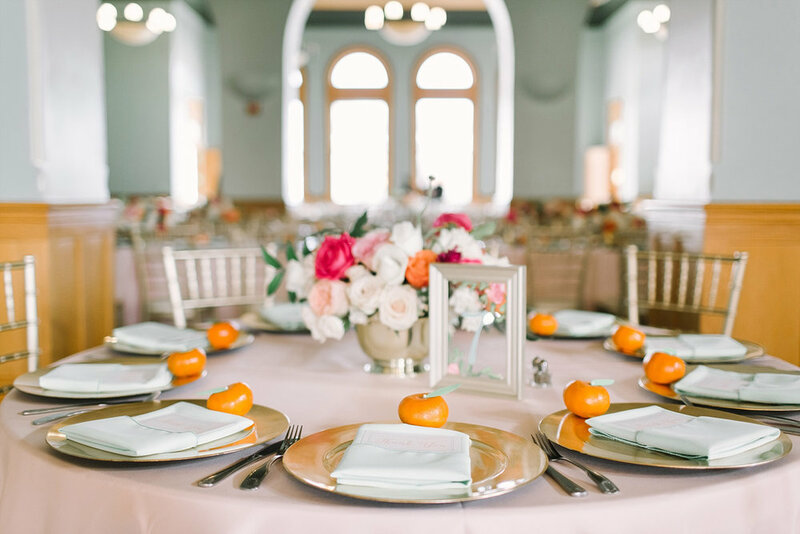 The clementines were sentimental to Zoe because she and her grandfather used to eat them together and she wanted to give them as a gift to each guest. 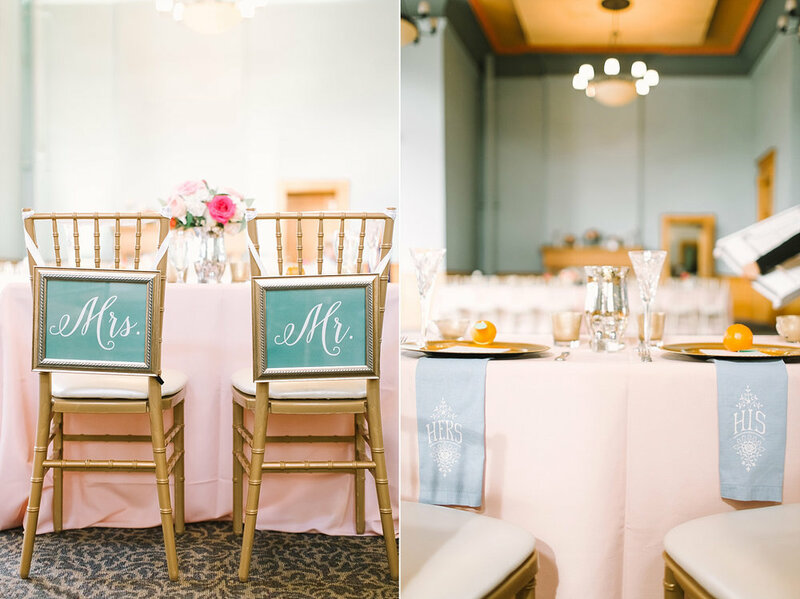 Each table also had hand painted table numbers that matched the invitations designed by Brown Fox Creative and added the perfect touch of color to each table. As the night went on the guests danced the night away with music from the Royal Dukes Band and got their picture drawn by character artists. When it was time to do a cake cutting the bride and groom opted for a dessert bar instead, and cut a coconut cream pie! 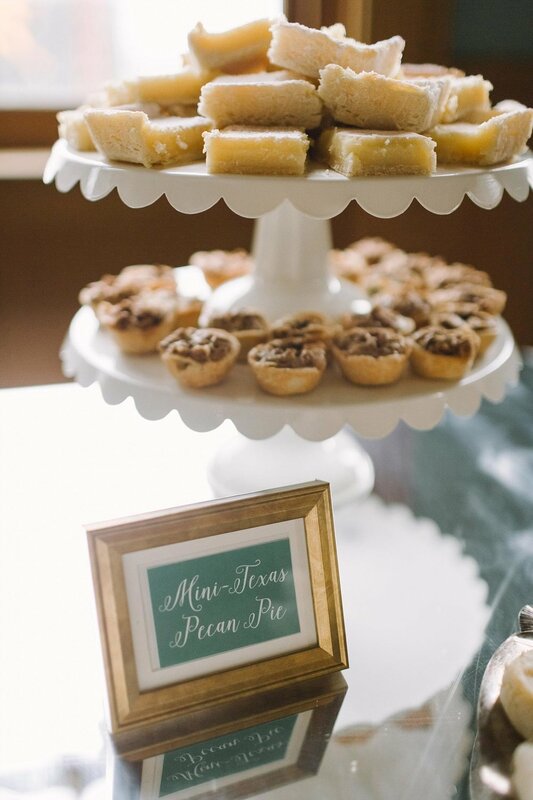 TCP provides a large variety of southern deserts for guests including banana pudding, pecan pie, lemon bar…etc. And trust it was WORK keeping guests away from that desert bar until the “pie cutting” lol! Overall this was such a fun and unique wedding, and I am so excited I got to be apart of it!